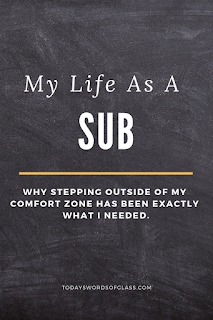 For someone who craves consistency, and is definitely a planner, life as a sub has really been a change. Day to day I really don't know where I will be or what I will be doing once I get there. Recently I walked into a classroom full of shop/woodworking equipment. I had a small 'what have I got myself into moment.' Thankfully the students worked with computers and not table-saws! But as a sub, I rely on the teacher to provide what I need to instruct that day. Overall, I've had great experiences. I have had a few extremely bad days... the kind where you cry on the way home... the kind that makes you doubt whether you can do this.. the kind that makes you feel so inadequate. So, yes I've had some doozies. It's worrying over students that I may or may not ever see again. It's hoping that I followed the teacher's plans to the best of my ability so that when he or she returns that hopefully the lessons can be picked up from where they were left. And that it doesn't put them too far behind for the school year. It's stepping outside of my comfort zone (sometimes daily) to try to catch up to where the class is. It's comforting young students who are upset that their teacher isn't there. It's reining in students who try to take advantage of the situation that their teacher isn't there. It is ever changing and going with the flow. Being a substitute teacher has truly been an eye opening experience on many levels. It's challenged me in ways that I didn't know that I could be challenged. It's rewarded me in ways that I never expected. I appreciate those who have encouraged me to step outside of my comfort zone. 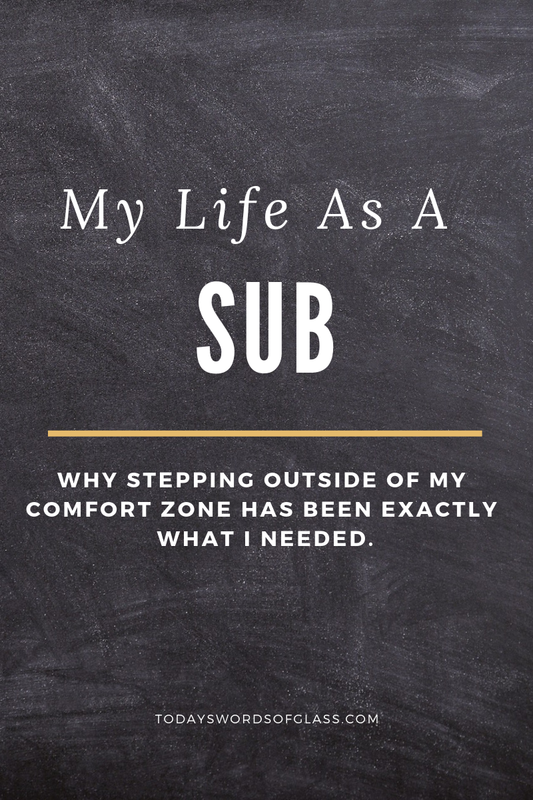 First to try substitute teaching, but then to try subbing for secondary education. I have found a passion that I didn't know that I had.